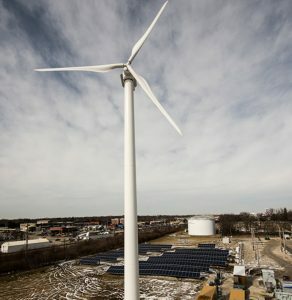 Ameren’s new Illinois microgrid demonstrated that it’s able to seamlessly disconnect from the grid and run on renewable energy during a 24-hour microgrid islanding test this month. S&C Electric and Ameren conducted the test at a 1.475 MW microgrid in Champaign that the Midwest utility unveiled in May. Microgrid islanding — the ability to disconnect from the grid — is a key benefit of microgrid technology. When a storm or other disruption causes a grid outage, the microgrid can separate itself from the disturbance and use its on-site generators to provide power. Power continues to flow to microgrid customers even though those around them are in the dark. “This successful test provided tangible proof that the system can accomplish what it was designed to do. The microgrid isn’t theoretical and our tests don’t need to be lab simulations. We were able to prove that this technology works and can provide key benefits to our customers,” said Ron Pate, senior vice president, operations and technical services at Ameren Illinois. He added that the microgrid is one of the few in the world that operates at utility-scale voltages and can seamlessly transition from grid-connected to island mode. Ameren’s test focused on a 50 kW microgrid that powers an Ameren research facility. The complete microgrid includes 225 kW of renewable generation (PV solar and wind) and 250 kW/500kWh of battery energy storage. S&C Electric and Ameren began the microgrid islanding test at 8 a.m. on Aug. 3, 2017, with the battery’s state of charge at 97 percent capacity. When the battery fell to 90 percent capacity, the microgrid’s solar and wind generation kicked in. The renewable generators simultaneously powered the research facility and charged the battery, in a pattern followed throughout the day. The battery capacity never fell lower than 88 percent. More details about the test are here, showing the activity of the battery and renewable energy. After the test, the microgrid moved back into grid-connected mode without any loss of power to those it serves. 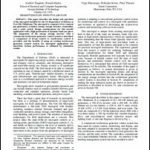 In short, the test showed that the microgrid can function without any human interaction, automatically coordinate resources and ensure power does not falter. During the test, the Ameren microgrid functioned on 100 percent renewable energy throughout the day. Many microgrids of this scale need to rely on rotating machines or generators, which prevent 100 percent penetration of renewable energy in these situations. At the Ameren microgrid, when the generation produced exceeds the facility’s need for power, the excess power charges the battery. With a rotating machine, the influx of generation would have caused the system to trip due to penetration limits. S&C Electric will present more details about the Ameren microgrid at Microgrid 2018 in Chicago May 7-9.